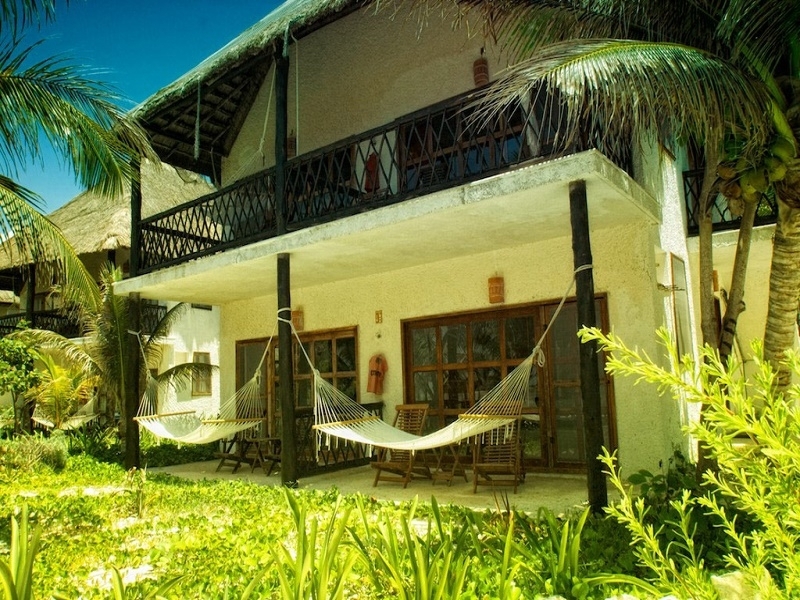 It consists of a king size bed, air conditioning, bathroom (with shower and tub), living room, telephone and terrace with chairs and hammock. 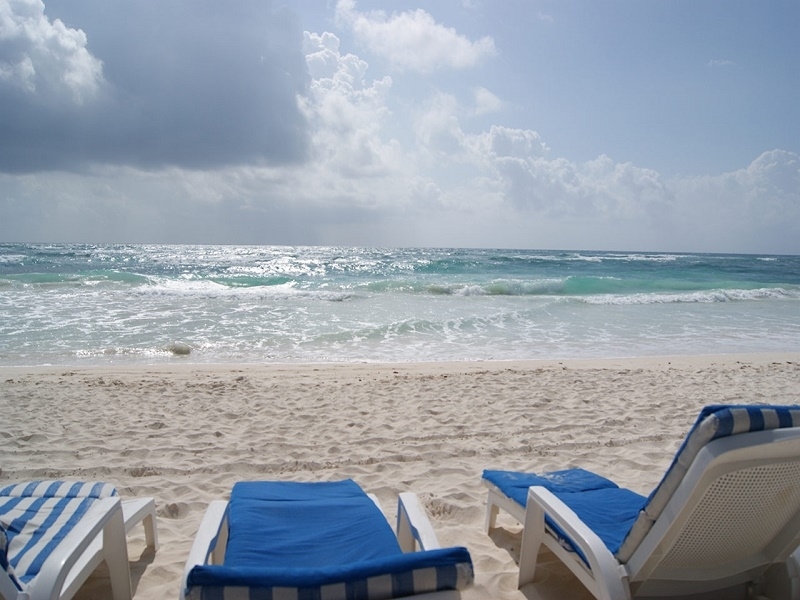 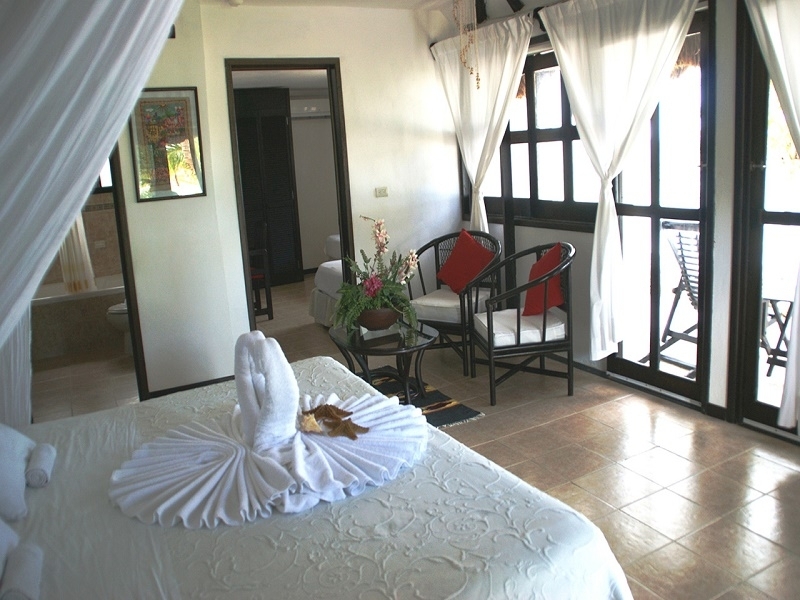 This is an ideal suite offering view of the majestic Caribbean Sea. 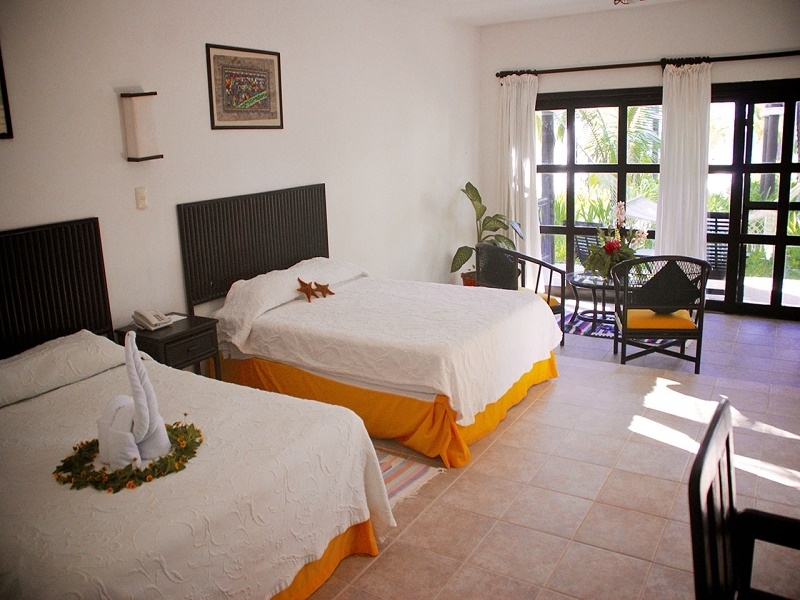 It has a king size bed or two double beds. 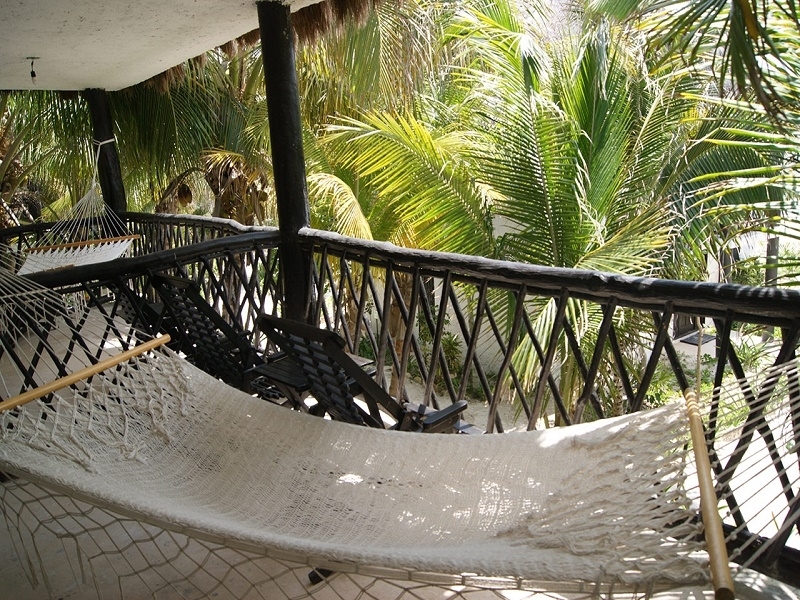 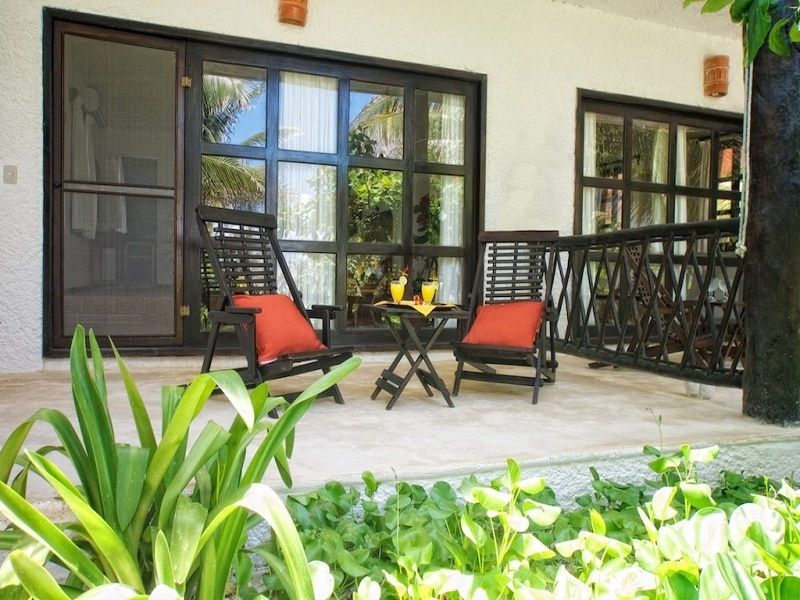 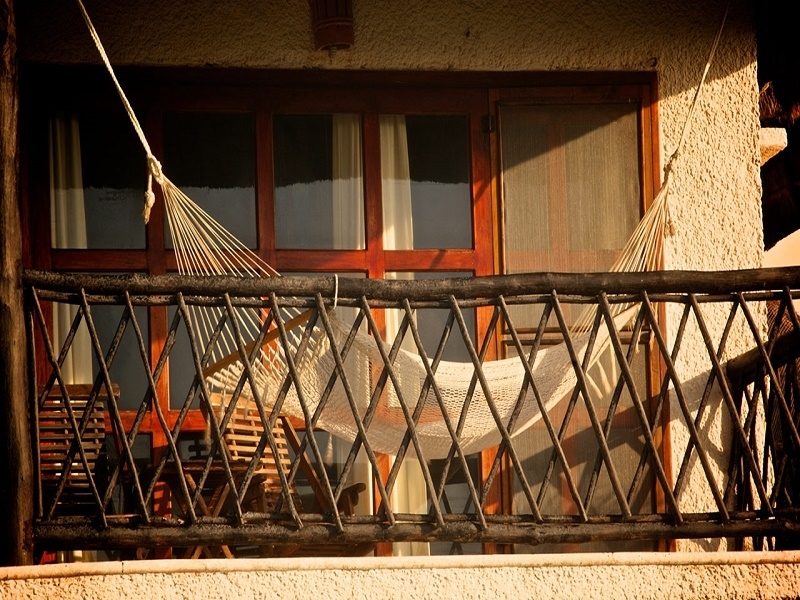 Large balcony with jacuzzi and hammock own families and couples on honeymoon or anniversary. 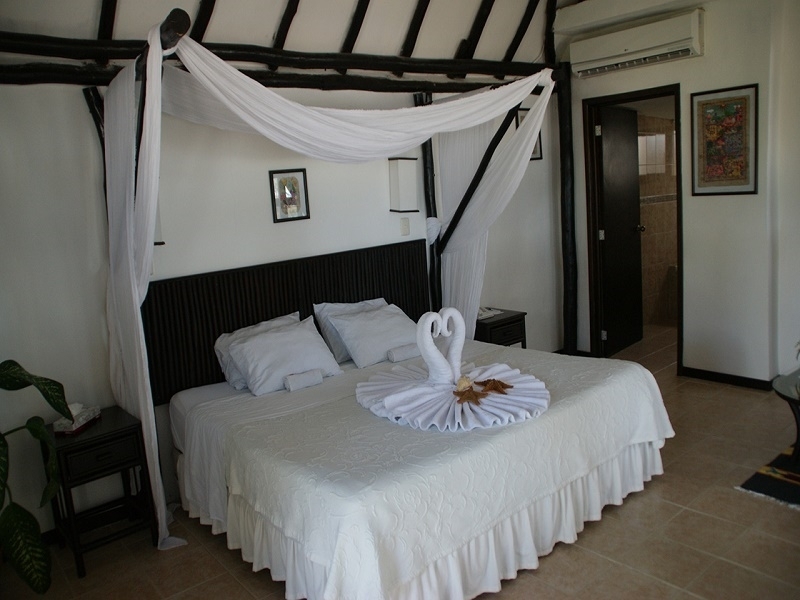 This comfortable suite offers: a king size, air conditioning, bathroom (with tub and shower), telephone and terrace with chairs and hammock. 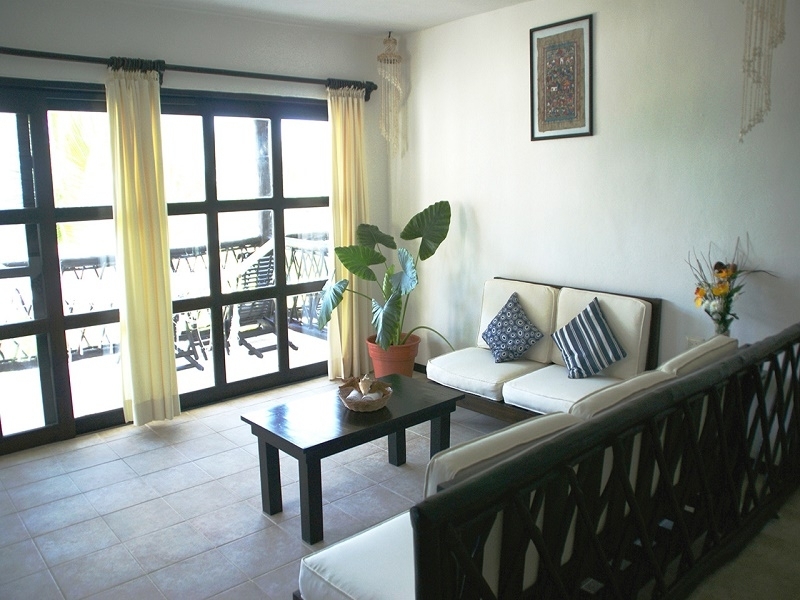 Located on the second level, they can have garden or the sea. 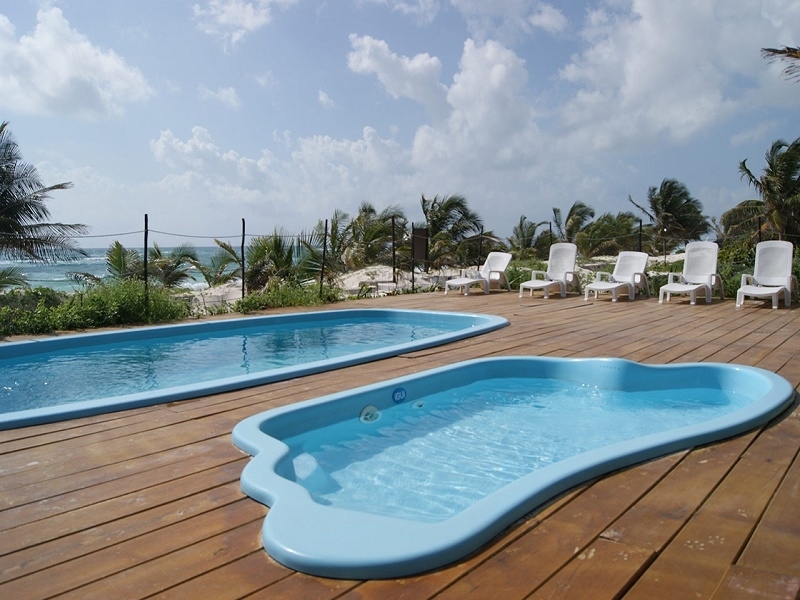 They are furnished with a king size bed, air conditioning, bathroom (with tub and shower), telephone and terrace with chairs and hammock. 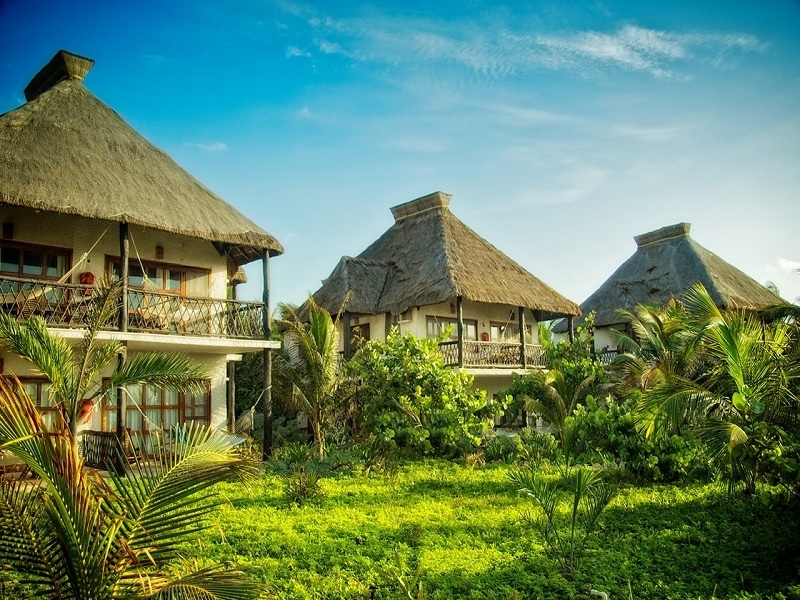 If a new wife, fishing enthusiast or adventurer at heart, the location of these cabins will put you in the right place to enjoy an unforgettable experience among the preservation of the environment and sustainable ecotourism. 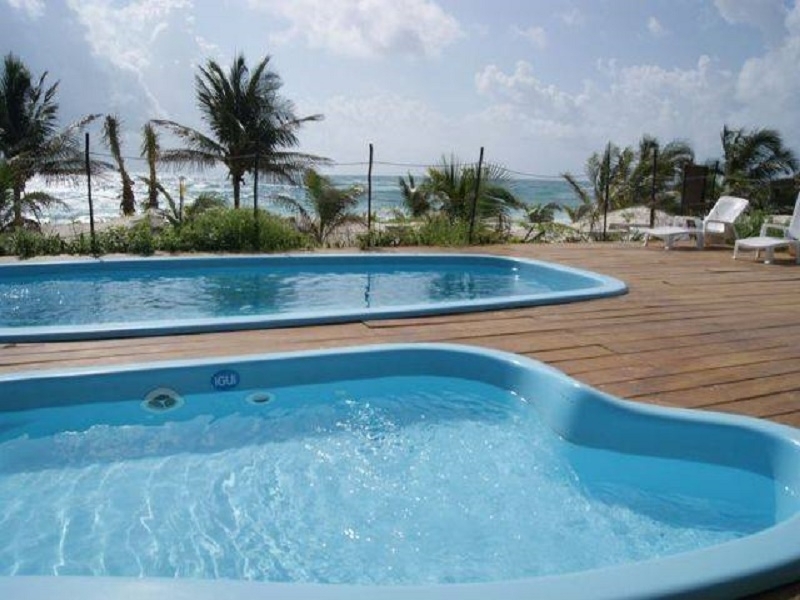 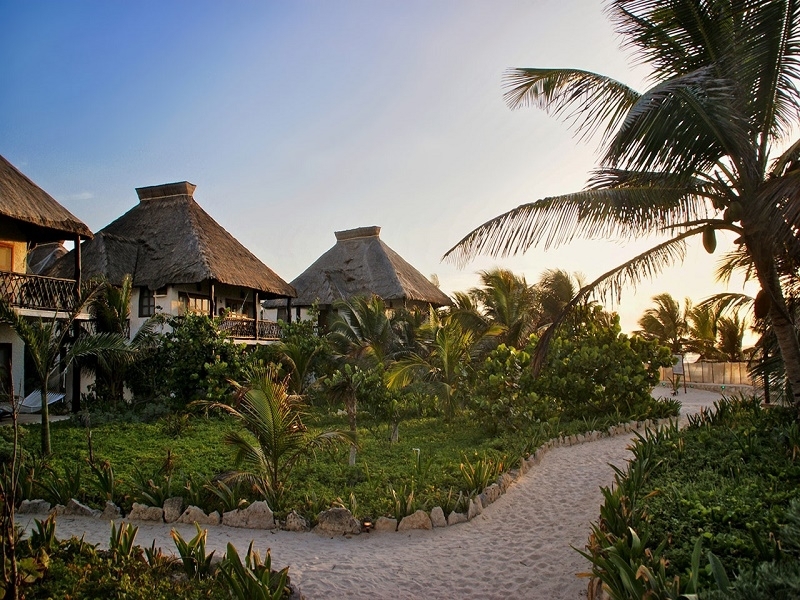 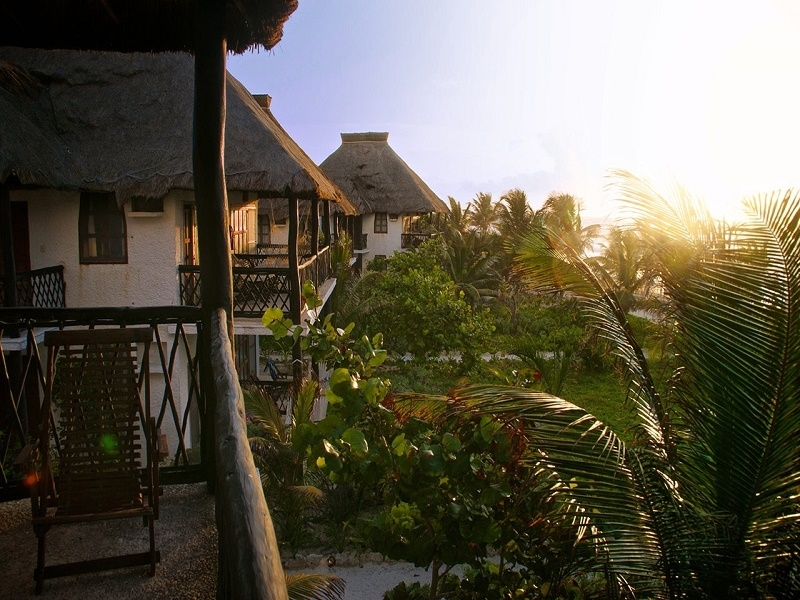 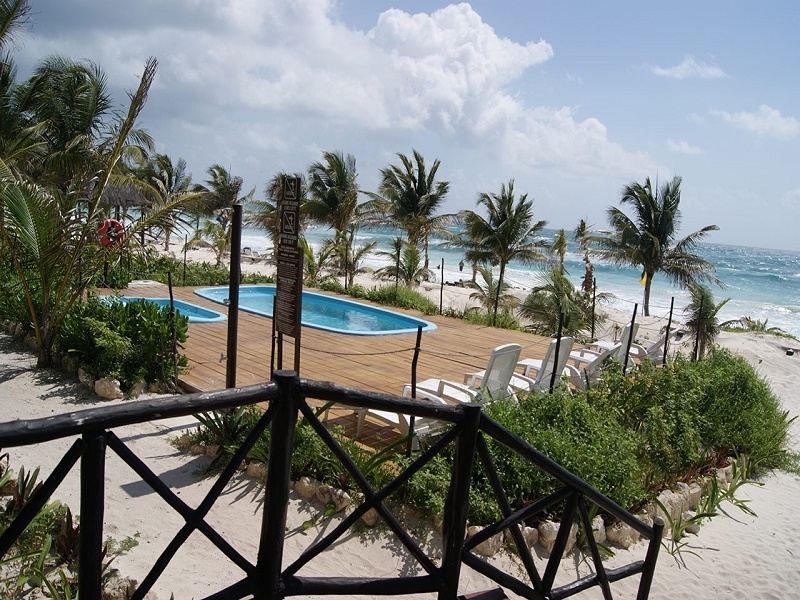 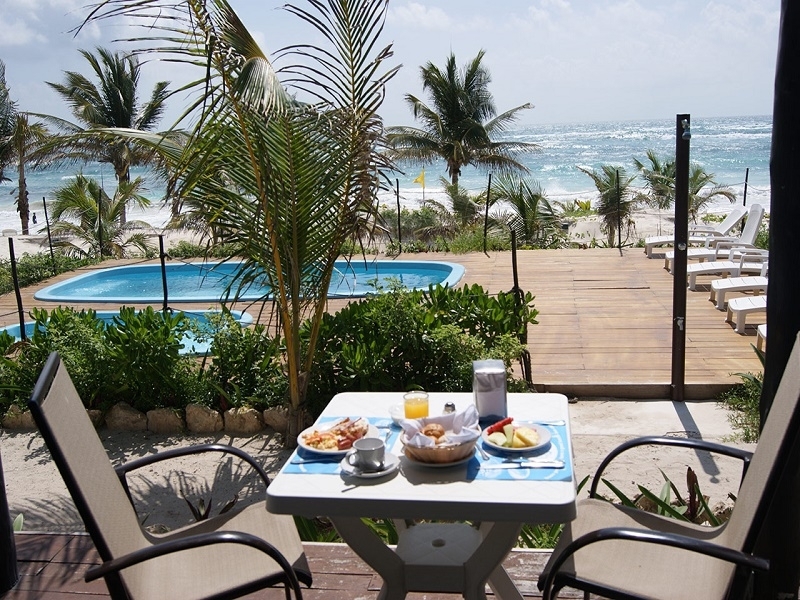 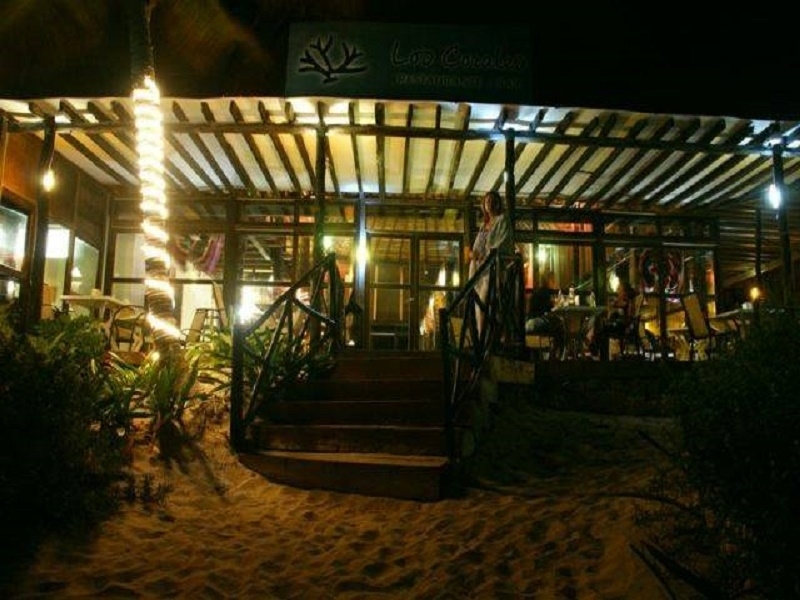 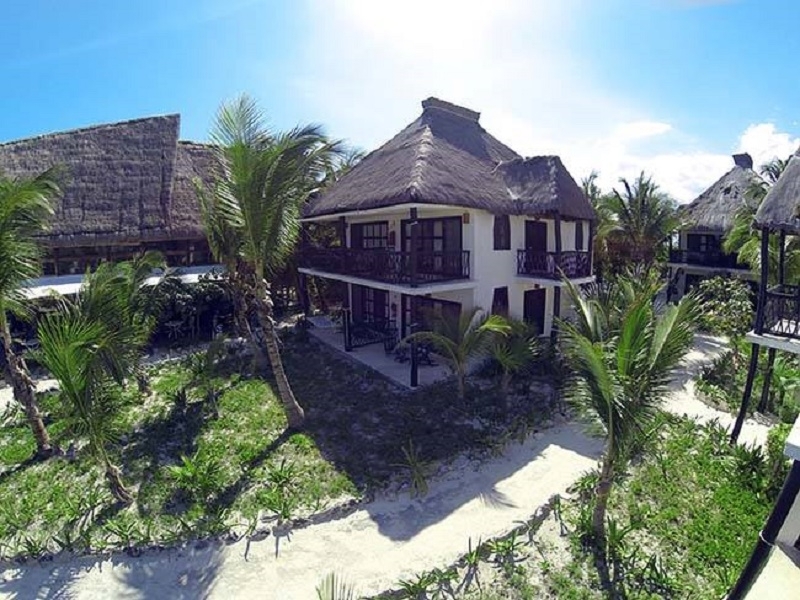 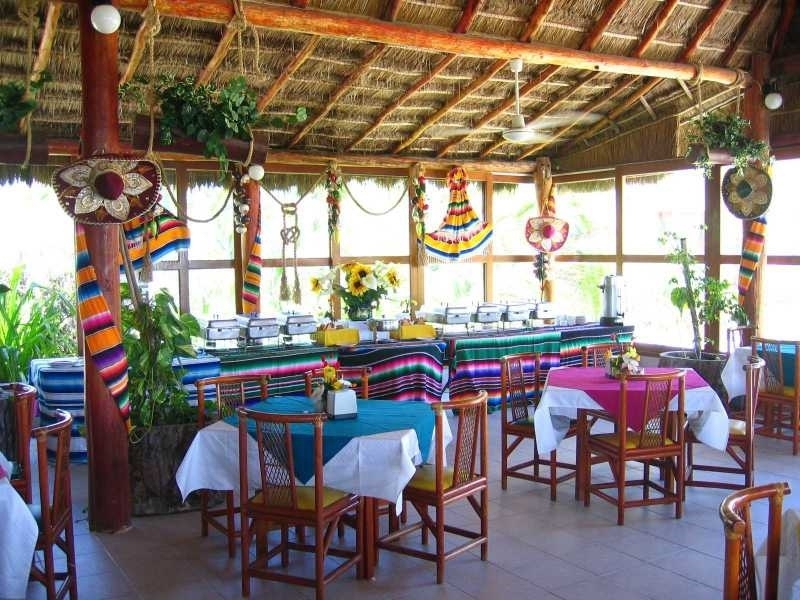 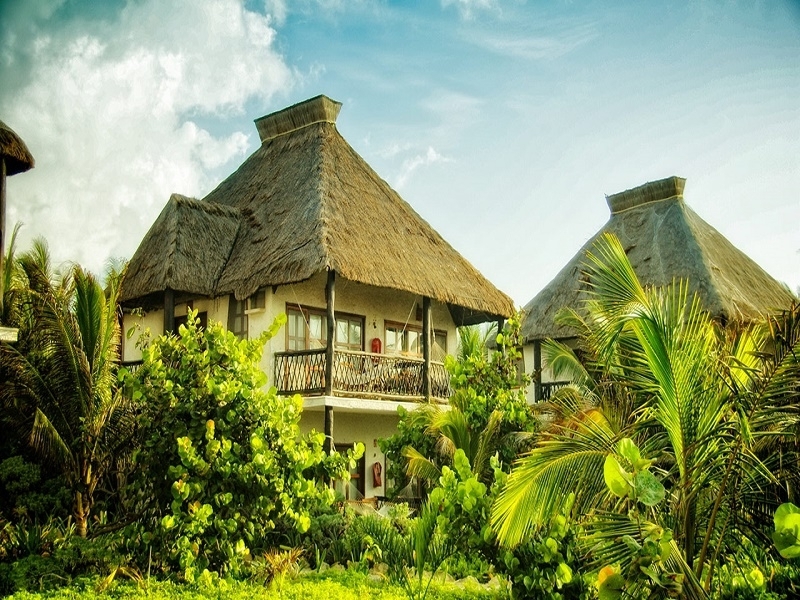 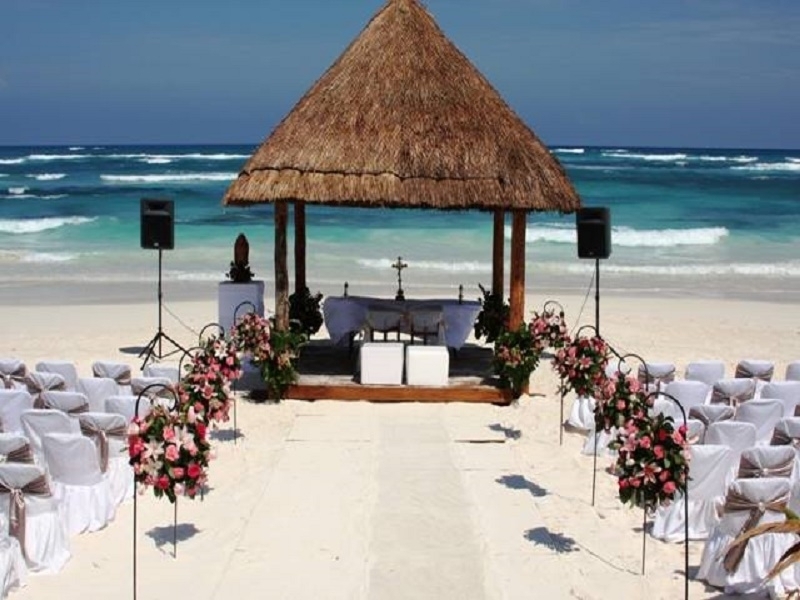 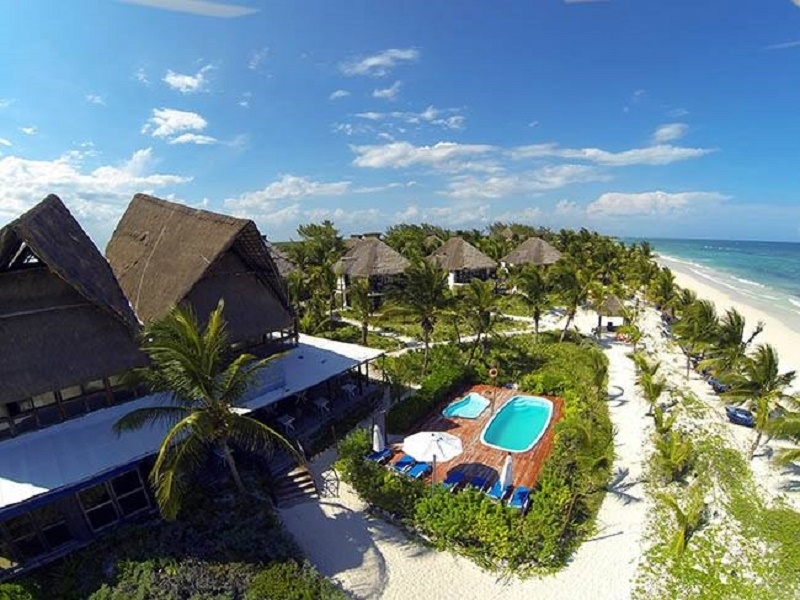 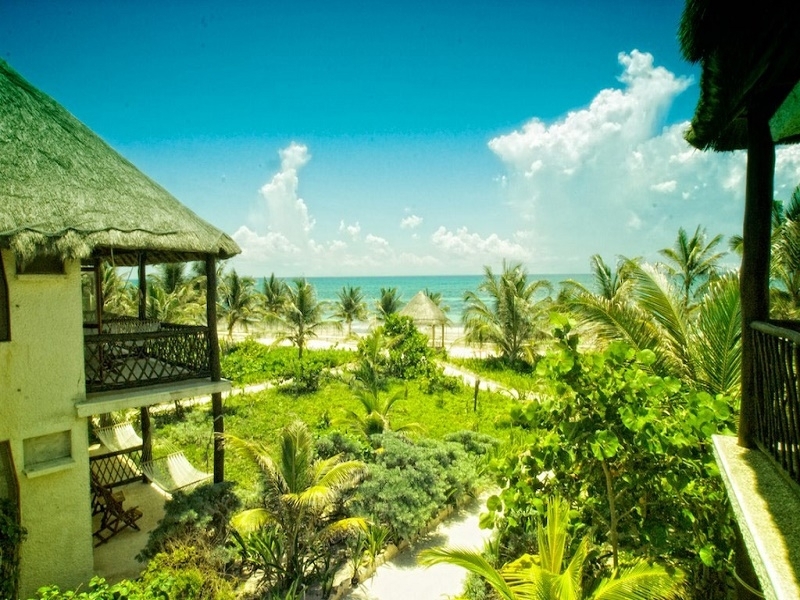 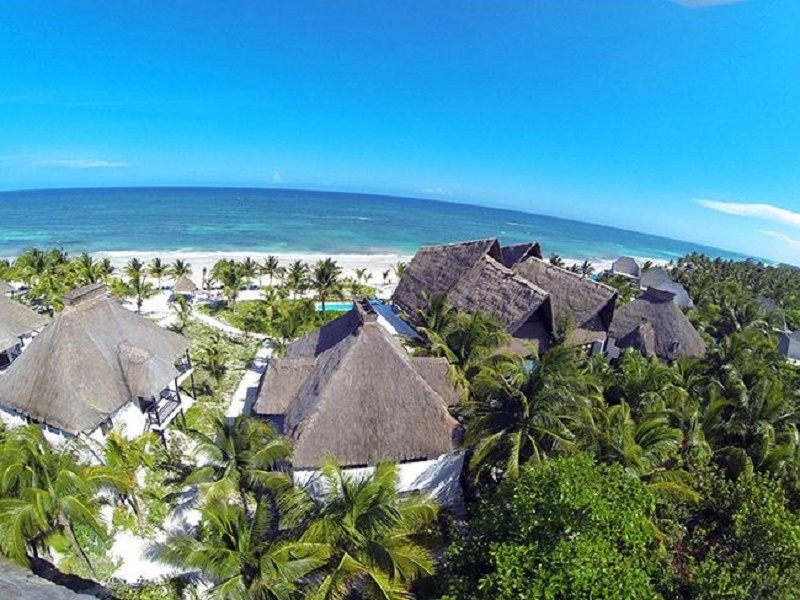 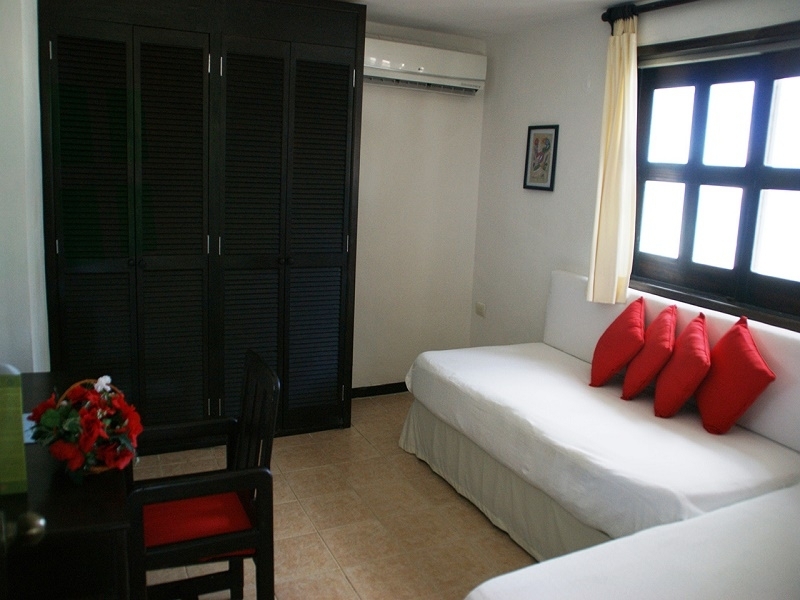 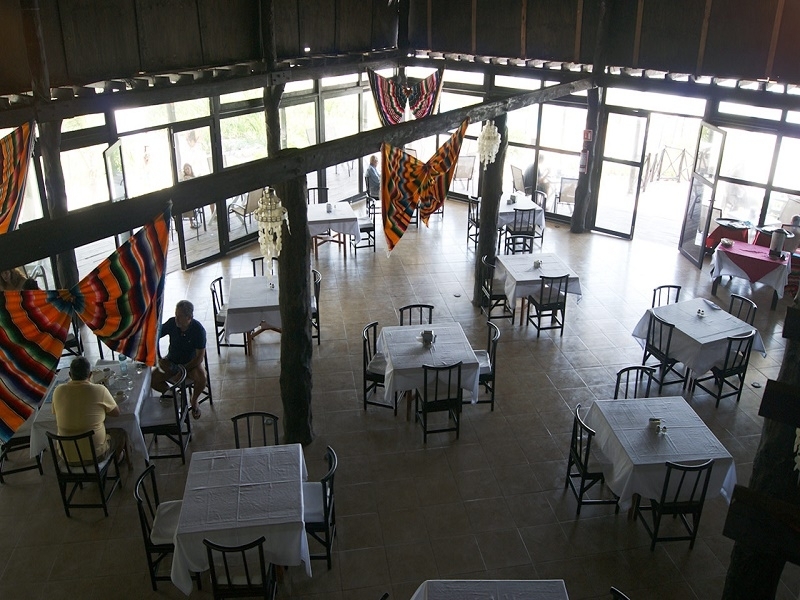 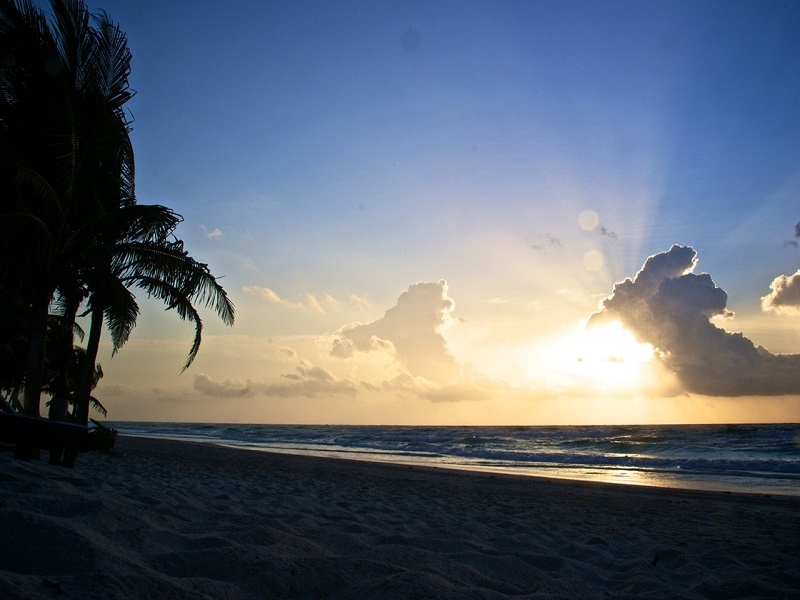 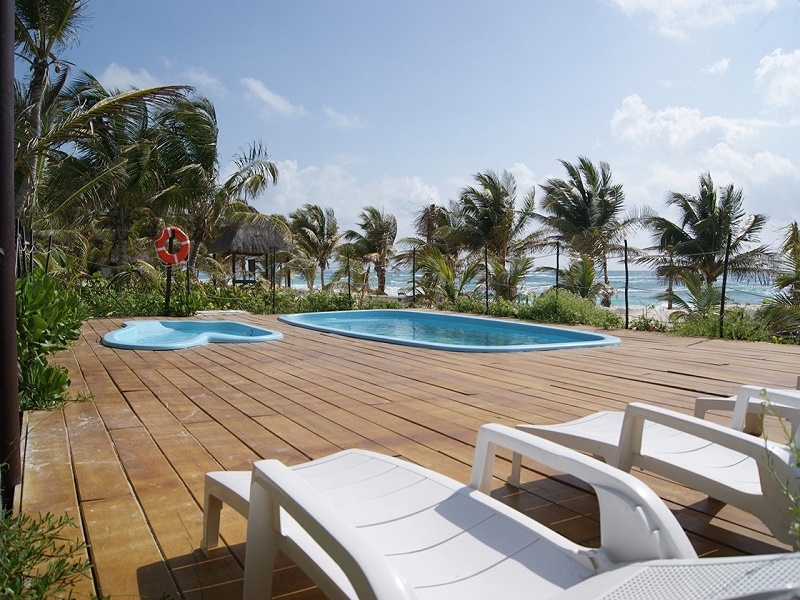 Located on the Riviera Maya, Cabins Lilies is a beach hotel in Tulum only a few minutes from the Biosphere Reserve Sian Ka'an and the ancient archeological site. 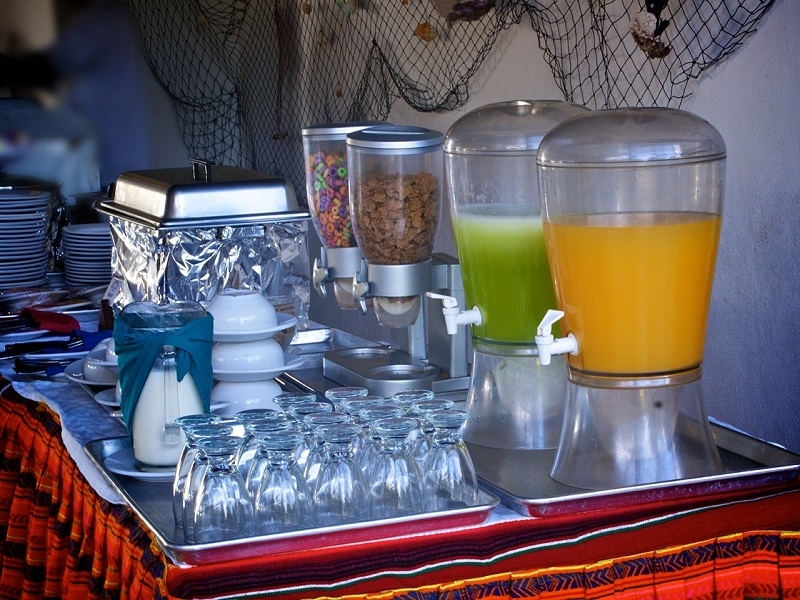 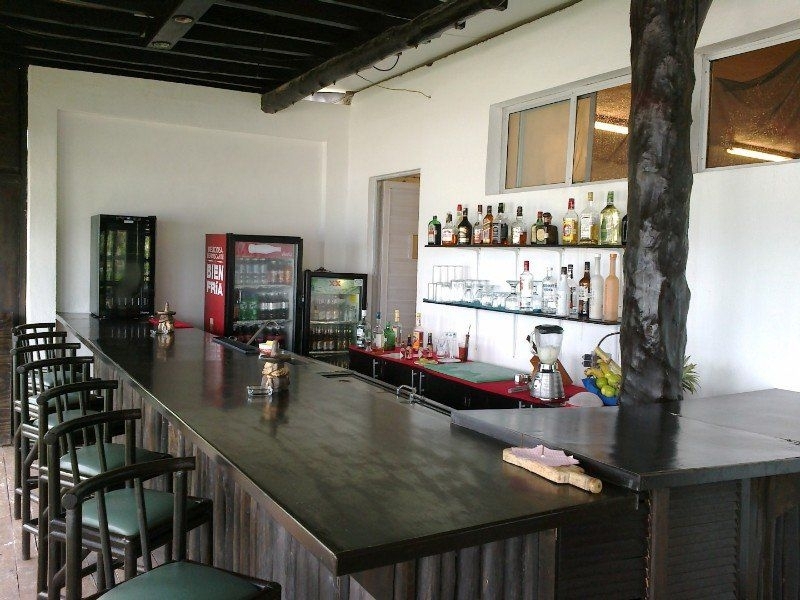 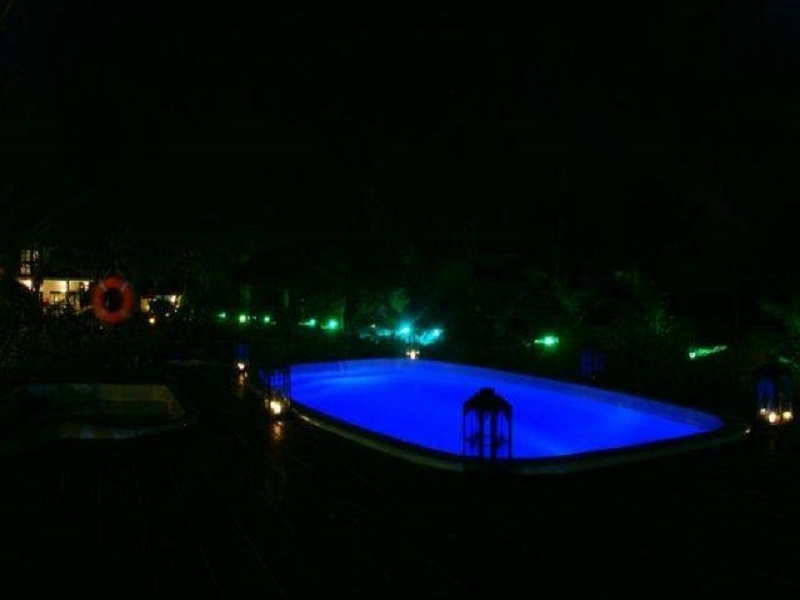 The facilities though respectful of nature, offer modern amenities and excellent service, so you can totally relax and get away from everyday stress. 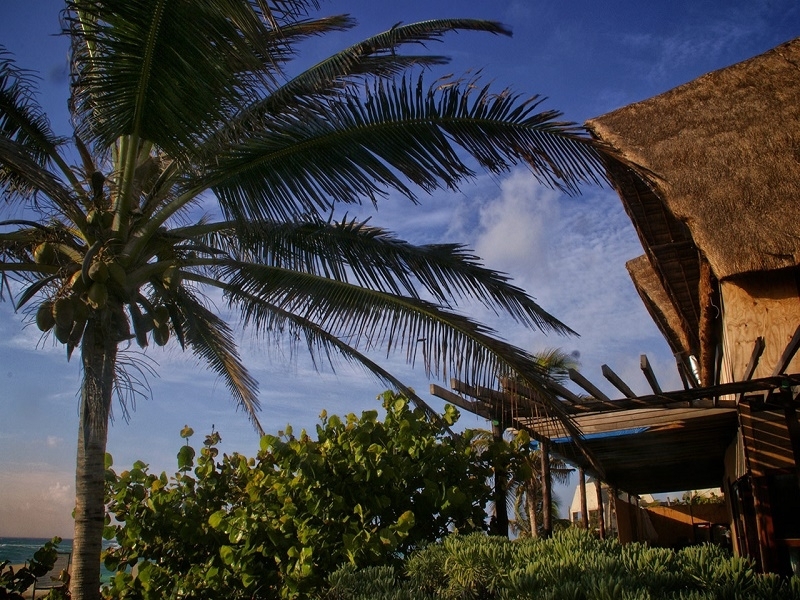 Cancellations in the season from December 20 to January 15 and Easter, do not accept cancellations, under no circumstances.When the guest at the hotel do not accept cancellations or reductions in the night number. 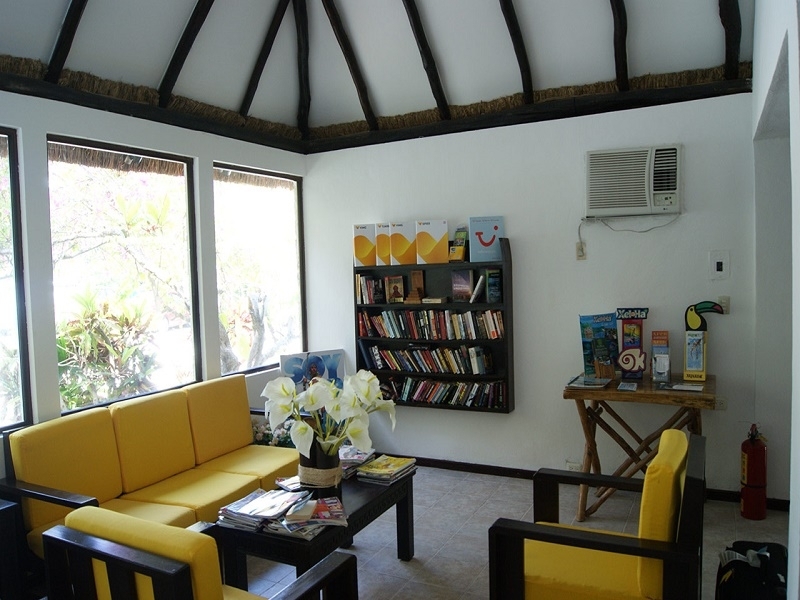 Cancellations must be notified 30 days before the arrival of the guest otherwise the charge of 1 night of lodging will be generated.